How can a Surfer help you increase sales? In the last article you can find HERE I spoke about how to find opportunities to increase your sales in a down economy. The reality is we live in an abundant world. Have you ever surfed or watched a Surfer in the water? Have you have ever seen a Surfer miss a wave and slam down their surfboard in frustration? Have you ever seen a Surfer get in their car and leave because they missed a wave? I didn’t think so. Why doesn’t a Surfer get upset when they miss a good wave? The reason a Surfer doesn’t get upset if they miss a good wave is that they know there will ALWAYS be another wave. If they get upset about the first wave, they may miss the next even bigger wave. Increasing sales is like surfing because there will always be another opportunity. Just like a Surfer knows there will always be another wave. What would happen if the Surfer wasn’t in the water? They wouldn’t be able to catch the next wave. If you miss an opportunity don’t allow yourself to get upset because there will always be another opportunity. Have you ever heard the phrase “seize the day”? Great! Just remember you cannot seize an opportunity that you are not prepared to seize. Just like a Surfer that gets out of the water after they miss the big wave; if you stop your sales activities you will miss the next opportunity. 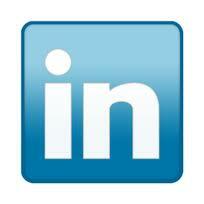 Most sales people have slowed down their sales actions due to their belief that nobody has any money in this economy. When times are tough you must take MORE action. When your sales are not going well there are 2 things you must focus on. Focus on your ATTITUDE and your ACTIONS. You have total control over your attitude and your actions. One of the benefits of a tough economy is you can have the motivation to expand your comfort zone and to look for ways you can increase sales. This is the time to look at every aspect of your sales process and look for ways you can increase your results. Look for ways to dominate your competition and put those ideas into action TODAY. 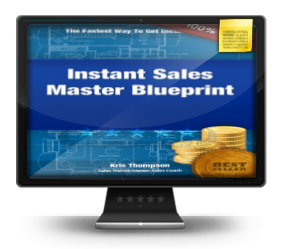 One action you can take right now is to watch my free video HERE to help you increase sales with the “Instant Sales Master Blueprint”.